Arjen Robben has been ruled out of Bayern Munich's clash with Borussia Dortmund on Saturday due to knee problems. The experienced winger did not travel with the rest of the squad on Friday ahead of the Klassiker showdown with the Bundesliga leaders at Signal Iduna Park. Earlier, head coach Niko Kovac had sounded somewhat optimistic over Robben's fitness ahead of their final training session in Munich. "Arjen tried to train yesterday but has a couple of knee problems so we'll have to see how he trains today," he told a news conference on Friday. 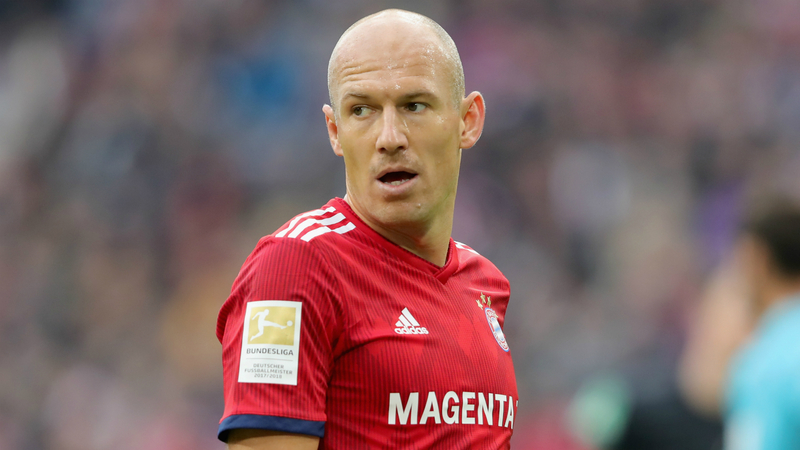 Robben joins Thiago Alcantara, Kingsley Coman and Corentin Tolisso on Bayern's injury list.